NO GRAINS? NOT TOO MUCH MEAT? NO PROBLEM! Ready for a Fresh, Vibrant, Healthy You? Guess what? You DO have a choice! If any of the statements above ring true, it’s time to try a new way of living! 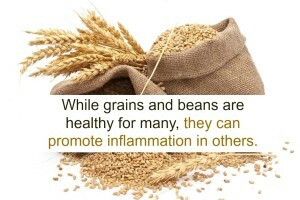 Did you know: Your body is carrying roughly 5-10 pounds of toxicity (inflammation) at any given time? 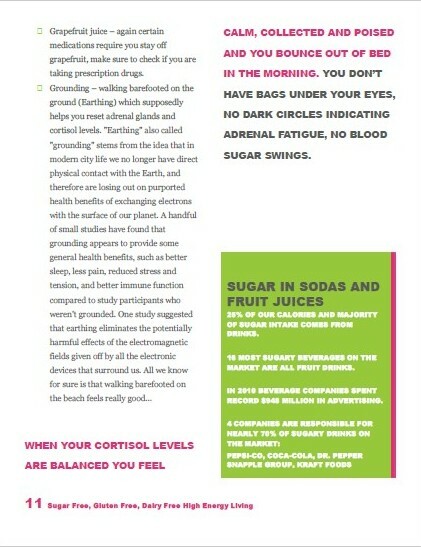 This means there’s a reason for your headache, bloated belly, or that extra weight that’s staying on. The toughest part? All too often, we eat foods that the diet industry calls “healthy” and are actually filled with toxins and wreaking havoc on our system and then creating more toxins in our systems. Talk about an evil cycle. 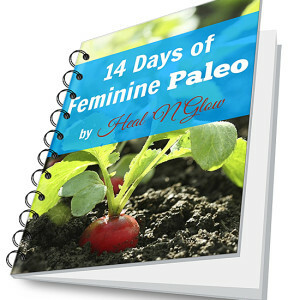 This step-by-step approach to living Paleo is designed to teach you all about the Paleo lifestyle, a lifestyle that has brought millions to optimal health – including two of Hollywood’s most beautiful women – actresses Megan Fox and Jessica Biel. With this, you’ll learn how to ditch the foods that inflame your organs and take advantage of all the primal foods that will boost your health and vitality and turn your body into a lean fat-burning machine. You’ll ditch the carbs, sugar and dairy and GET the food that really works for your body, not against. Folks, it’s time to leave the confusion, diet books, and deprivation behind! This program will guide you through everything you need to know about a simple Paleo lifestyle. Clean eating isn’t a fad or a diet; this is a healthy way of life. Paleo in a nutshell, is clean eating. The Paleo diet is based on eating fruit, vegetables, seeds, nuts and clean protein sources such as eggs, chicken, beef, fish, seafood and lots of wonderful fats. There are no pills or crazy powders with this way of life, except for wholesome protein powders like hemp, pea and collagen powders. With this program, you will never feel deprived, hungry or lethargic. As a matter of fact, you’ll be quite the opposite! ● Decrease your belly bump (we’re not talking about a pregnant bump either)! Uncomfortable jeans, be gone! ● Get a hot body before swimsuit season ends, or just fit into the fabulous suit you want to buy for your next presentation! That’s what we’re up to here – cleaning out toxins, or inflammation, from your body. That’s not just food either – we’re talking metals, chemicals found in cleaning products, drinks, etc. BUT, instead of relying on fasting, pills, and powders, we’re focusing on improving your diet and your digestion. One of the main benefits is invigorating your gut – the organ that makes up 70% of your immune system and is responsible for getting nutrients where they need to go for optimal health. Paleo ROCKS your gut – in a good way! The Paleo program will revitalize your body, mind and spirit. “First, let me say that I used to be married to carbs and sugar. Well, not married but I was in a mutually beneficial relationship with both. I’d cry…carbs and sugar would make me feel better. I’d be exhausted…carbs and sugar would make me feel better. The only thing I didn’t like about my relationship with carbs and sugar was how quickly they abused me and then left me drained. Now, after doing this program, I KNOW that carbs AND sugar are pretty much the evil, jealous, jilted lovers. When I’d choose a vegetable over the carbs/sugar, the carbs/sugar would beckon me back into our love affair. When I’d choose the carbs and sugar first the next time, they’d screw up my entire body in a fit of jealous rage the next time we met. It’s time to put your health first and start feeling like the beautiful person you are! 1. I want to empower YOU (yeah, you!) with the right tools for healthy Paleo lifestyle, so you can improve your immune system in a safe and nourishing way. 2. The world needs to know fancy pills or powders aren’t required for optimal health. But primal foods, such as seeds and nuts, are. 3. You can use this program over and over, especially until you acclimate to this lifestyle. 4. You deserve to feel amazing, and Paleo will do that for you. Are YOU ready ditch the toxins, and refresh and renew? So… what happens when you actually “go Paleo” so to say? ● You’ll feel 10 years younger…no, make that 15! ● You can hit your weight loss goals with the ease & grace of a swan. ● You wipe the slate clean – and give your body a whole new beginning. Fact: A Paleo lifestyle does not have to be scary or depriving. This is a delicious adventure of discovery and releasing what’s no longer serving you – both physically and emotionally. And when you learn to finally let go of it all, you can access amazing freedom of both body and mind. “For as long as I can remember, I’ve had an extremely sensitive digestive system. Bananas, though healthy, would give me stomach aches. Oatmeal, thought I loved it, would make my stomach feel heavy and leave me with zero energy. Not to mention milk…it gave me diarrhea! Year by year, I simply rolled with my sensitivities, not really knowing what to do about it. Then one of my lifelong friends brought up an advertisement during a yoga session that she saw for this program. She told me she’s always wanted to try Paleo so she was going to give it a shot. She did, and her results were amazing – her energy was through the roof and she lost 6 pounds. A six-pound weight loss is enough to make any girl want to try it – so I did. Well, I just finished a few weeks ago and I feel like I’m in a completely different body. This program helped me though all of my digestive distress and showed me how eating the wrong foods led to my pain, inflammation and lethargy. It also taught me food combining, which is an invaluable way for people like me to eat. This is hands-down the best things I’ve done for myself. 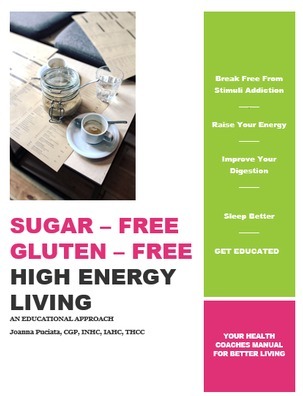 I am a Certified Holistic Health Coach, Certified Gluten Practitioner and I am certified by the American Association of Drugless Practitioners. I received my training from the Institute of Integrative Nutrition in New York, NY, USA, where I studied over 100 dietary theories, practical lifestyle management techniques, and innovative coaching methods with some of the world’s top health and wellness experts, including Dr. Andrew Weil, Dr. Deepak Chopra, Dr. David Katz, Dr. Walter Willett, Dr. Mark Hyman, Dr. Alejandro Junger, Dr. John Douillard, Dr. Liz Lipski, Dr. Josh Axe, Donna Gates, and many other leading researchers and nutrition authorities. Drawing on my background, training, skills, and life experiences, I support my clients of Heal ‘N Glow spiritually, mentally, emotionally, and physically. I am not a medical doctor, dietician, nor nutritionist. I do not hold a degree in medicine, dietetics, or nutrition. I make no claims to any specialized medical training, nor do I dispense medical advice or prescriptions. This content is not intended to diagnose or treat any diseases. It is intended to be provided for informational, educational, and self-empowerment purposes ONLY. Please consult with your doctor or wellness team if you have any questions regarding this whole foods program, and then make your own well-informed decisions based upon what is best for your unique genetics, culture, conditions, and stage of life. As with most digital and print offerings, from audio and eBook retailers: There are no refunds on programs or products that can be downloaded, viewed, copied, or stored in an electronic format. This is industry standard. Therefore, this program is non-refundable, so please read the full program details and F.A.Qs before purchasing any program or product. PLEASE NOTE: All contents within this guide are based on my personal knowledge, opinions, and experience as a holistic health coach. Please consult a medical advisor regarding medications or medical advice.